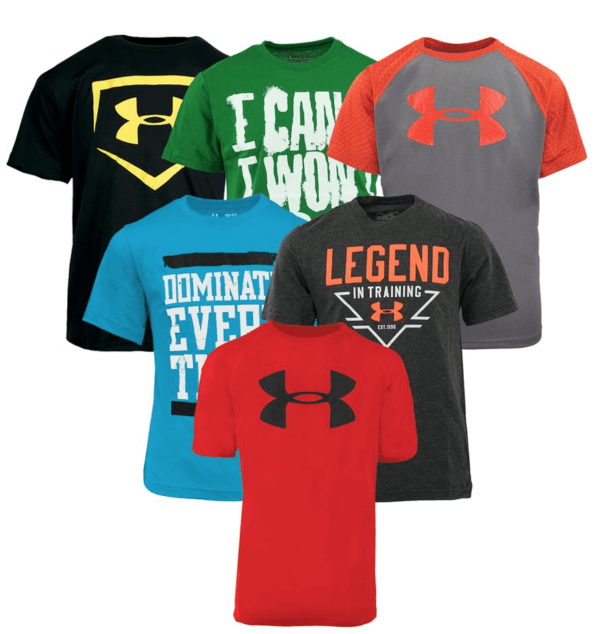 Boy’s Under Armour T-Shirts $7.20, Shipped! March 15, 2019 by Laurie Leave a Comment This post may contain affiliate links, which means if you click on a link and purchase something, I may earn a small commission (at no additional cost to you.) See my disclosure policy HERE. Right now you can score Boy’s Under Armour Fitness T-Shirts 5-Pack for $36 with the coupon code HBD40 at checkout ~ that works out to $7.20 each! Plus shipping will be free. You will get a random assortment! 75% OFF Shoes at JustFab – CUTE Summer Sandals ONLY $4.24!